One could, quite fairly, make the claim that entirely too much recent commentary has been in regard to food. Cappuccino, insalata, pomodori (learned that in Italian class; doesn’t that just sound so much better than ‘tomato’? ), verdura (vegetables), frutta, peperone, albicoca (apricot), arancia (orange), limone… Even watermelon sounds exotic — cocomero. 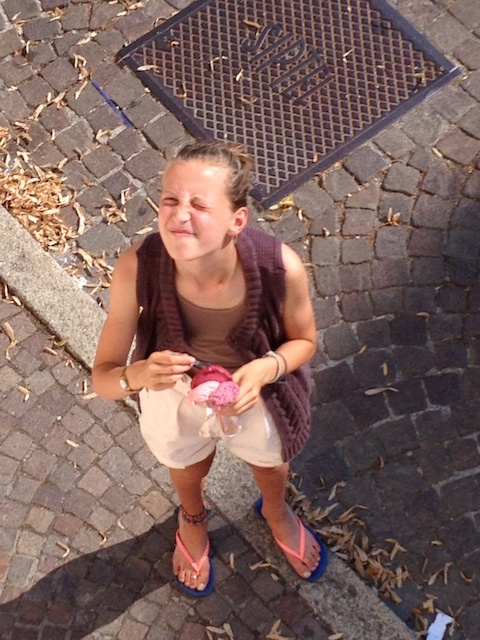 Which, of course, brings us around to that loveliest of Italian sounds, gelato. 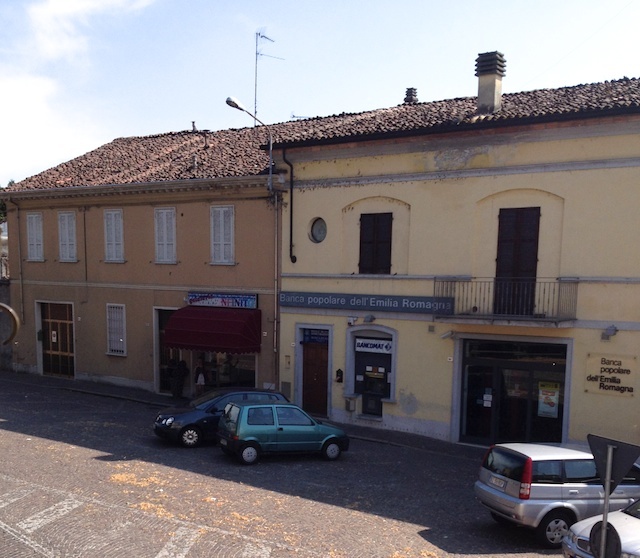 So imagine yourself in a little town where there’s a gelateria across the street from where you are spending the next three weeks of your life. Wouldn’t you just be so happy? 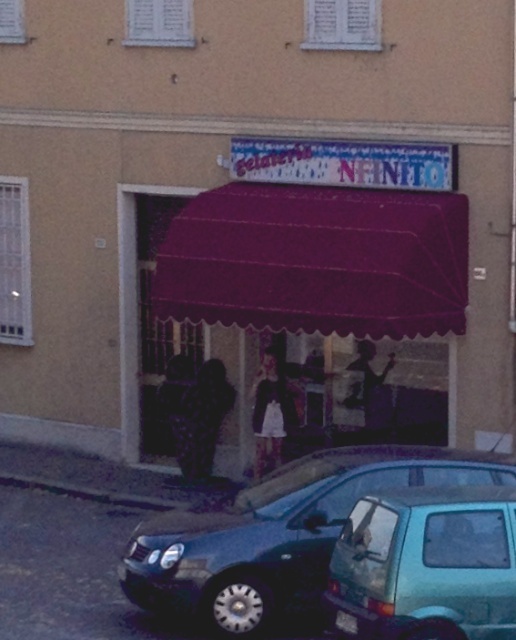 Why, who is that under the awning of the Gelateria Infiniti? She wouldn’t have snuck away for a little afternoon treat, would she? And it looks like someone couldn’t make up her mind and snaggled three flavours from the proprietress. Good things happen when you practice your instruments! 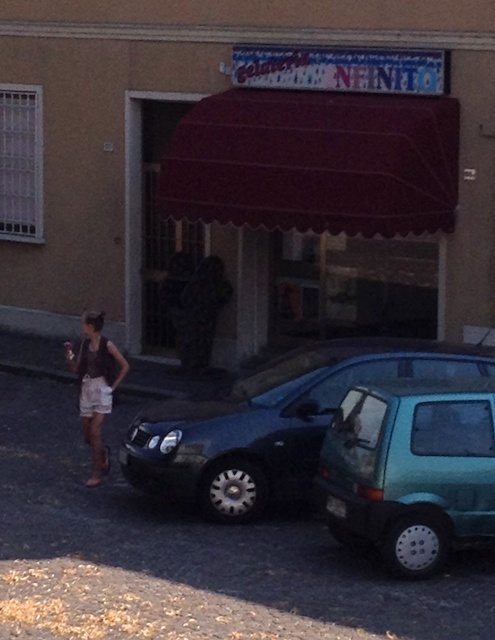 How isn’t that dreamieeee homemade gelato across from the casa.